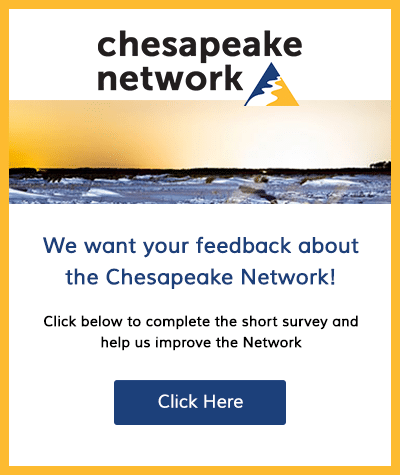 The Chesapeake Bay Foundation seeks a Virginia Grassroots Coordinator to be based at its Virginia located in Richmond, VA.
1. 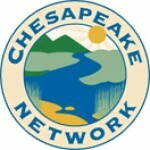 Implement CBF’s Chesapeake Bay Clean Water Blueprint strategic plan elements related to outreach and advocacy. b. Plan and execute Richmond-based decision-maker experiences to strengthen community and elected leader relationships. 2. Host the VoiCeS training program in Richmond or similar programs designed to more fully engage active volunteers in intensive learning, advocacy, and restoration experiences. Establish curriculum, recruit speakers, create promotional materials, and track long-term stewardship opportunities. 3. Recruit, manage and optimize advocacy opportunities and restoration activities for Central Virginia Clean Water Captains. c. Co-host monthly Clean Water Captains calls. 4. Organize lobbying activities for volunteers, including General Assembly Preview, Water Day in General Assembly, and Bay Day on the Hill. 5. Use CBF website and utilize CBF’s action alert system to apprise CBF partners, members, and volunteers in central Virginia on advocacy needs and upcoming activities. e. Update citizen involvement in LCRM. m. Complete safety training as required. 8. Organize the logistics of restoration workshops and events, as necessary, including tree plantings, clean ups, stream walks, and invasive species removals. Ensure safety procedures are followed at all restoration sites. 10. Work with other CBF staff to obtain funding for restoration activities and to report to funders on activities. 11. Develop volunteers to be fully and effectively engaged in our VoiCeS, Speakers Bureau, Fairs and Festivals, Action Network, Clean Water Captains, and other opportunities. d. Track volunteer activities and advocacy engagement in LCRM. 12. Engage those interested in volunteering with CBF in activities which utilize their skills and interests. KNOWLEDGE: Bachelors degree required. At least two years experience preferred in environmental protection, including experience recruiting, training, motivating, and coordinating volunteers. Experience working with the print and broadcast media; experience building coalitions among the business, military, governmental, public service, and other communities. Ability to learn and implement CBF policies/procedures related to legislative and regulatory advocacy, grassroots and public communications. Excellent oral and written communication skills, including experience giving presentations to different audiences. Proficient in computer applications, including MS office software, Google applications, and Web content management. Salesforce experience a plus. Those who are fluent in Spanish are encouraged to apply. PROBLEM SOLVING: Goals and objectives are set with the assistance of the Virginia Director of Outreach and Advocacy. Position functions independently to develop the means of achieving annual and shorter-term goals. Develop and implement regional plans for involving large numbers of people in CBF issues and activities. Excellent time-management skills are necessary to prioritize meetings, events and other activities. ACCOUNTABILITY: Negotiate commitments of staff time and resources to participate in local events, speaking engagements, etc. Carry out activities mutually agreed upon with CBF volunteers and other volunteer groups for partnership projects. Actions taken are interpretive of established CBF policies, procedures and positions. STRATEGIC IMPACT: Initiates innovative methods of engaging people and organizations in achieving CBF’s mission. High level of responsibility for influencing and inspiring people to take action on Bay issues. HUMAN RESOURCES: Oversees and coordinates activities of any Richmond Office volunteers. Manages day to day duties of grassroots outreach interns.